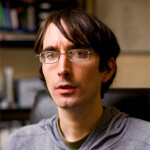 David was one of the founders of Social Spider in 2003. He supports, researches and writes about social enterprise and social innovation, specialising in social enterprise development and social investment. David wrote the booklet ‘Why Social Enterprise? A guide for charities’ for Pilotlight and Social Enterprise UK and has written about social enterprise for The Guardian, The Young Foundation and Pioneers Post. He has lectured on social enterprise at Goldsmiths College, Middlesex University and University of the West of England. David is non-executive director of Significant Seams CIC, a social enterprise which nurtures self-confidence and community, through textile crafts and traditions and Inpress, the sales and marketing agency for independent publishers in the UK. He is member of the governing council of Social Enterprise UK and a fellow of the RSA and the School for Social Entrepreneurs. Anna came to Social Spider CIC through the Worthwhile Graduate Scheme. She takes a pragmatic approach to research projects and enjoys using qualitative research methods such as interviews and focus groups as a means of analysing key trends and patterns in a particular field. Her academic background is in Social Anthropology. Anna currently splits her time between working as a researcher for Social Spider and working on our community media projects. For Social Spider Anna has worked on research projects for clients such as Power to Change, Bridges Ventures and GMCVO. Anna manages Social Spider’s community newspaper, the Tottenham Community Press and also conducts community media advocacy work. In 2017 she co-organised the London Community Media Summit alongside Eastside Primetimers. Ffion’s role was secured as part of the Worthwhile graduate programme. Ffion has conducted qualitative research for a project based around the opportunities for Risk Finance within social investment, commissioned by Access: the Foundation for Social Investment. She has worked on research into Social Investment Tax Relief in order to understand how it can be utilised by more eligible organisations for client The Social Investment Business. She is currently involved in managing the Social Intelligence Investment Network (@SocInvNetwork), an initiative aimed to bring social entrepreneurs together in order to discuss and provide constructive feedback develop. Ffion is interested in the ways in which the sector is able to adapt and develop in response to feedback from the demand side. There are many opportunities for increased clarity within the sector in terms of what exactly social investment is offering and how it can be packaged and delivered in a way in which is suitable to those it is designed to help. She has a particular interest is how we can help to alleviate social problems facing older people, in particular, loneliness and how older people perceive, understand and react to stigmas and perceptions related to their age categorisation. Ffion enjoys undertaking qualitative research methodologies and understanding the stories and experiences of those who are involved in research. Mark joined Social Spider in 2006. Mark supports, researches and writes about mental health, social innovation and social media. He specialises in projects that bring new perspectives and approaches to mental health and the intersection between social innovation and mental health. Mark’s experience of mental health difficulties puts him at the forefront of a wave of innovators in mental health who utilise the insight provided by their lived experience. In 2006 Mark originated and edited the national magazine for people with mental health difficulties, by people with mental health difficulties One in Four. Including articles on a variety of lifestyle issues, the magazine helped many people with direct experience to their first opportunities to appear in professional print media. Mark regularly writes and speaks on the intersection between mental health and innovation. Mark is experienced in facilitating written expression and critical thinking. Mark has worked with organisations such as FutureGov, mhabitat and the Advanced Digital Institute on the discover, definition and design phases of digital mental health applications and services and ran the young people’s mental health digital innovation lab for mhabitat. Mark delivers social media coverage for mental health events and conferences as part of Beyond the Room. 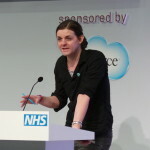 Mark is a well recognised tweeter and writer on mental health and social action, one of Community Care’s top sixty social care tweeters and is part of the @wenurses team of health tweeters, leading regular mental health themed twitter chats with engaged audiences of health care professionals and patients. His writing on mental health and related topics has appeared in The Guardian, Prospect, the i-paper, New Statesman, Mental Health Today and Shortlist.